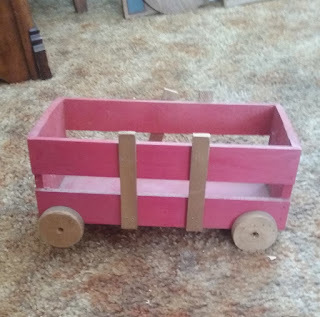 The painted crate was a cast-off found at a craft show a few years ago. 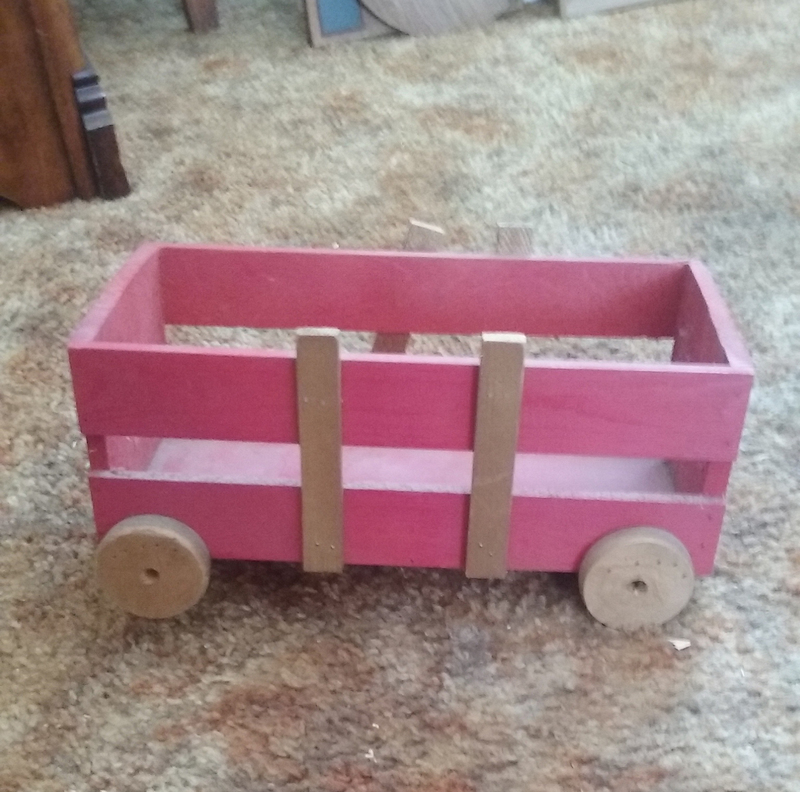 It was this red wagon. 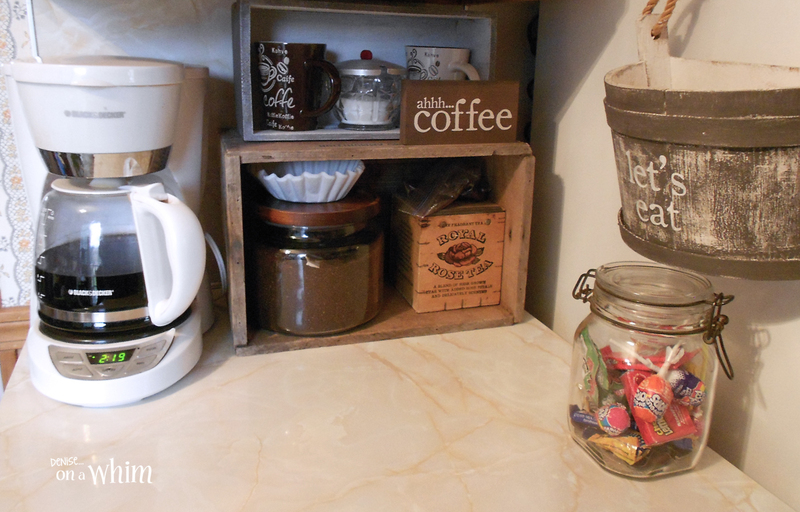 I took the wheels and side bars off and, voila, new mug and sugar station! 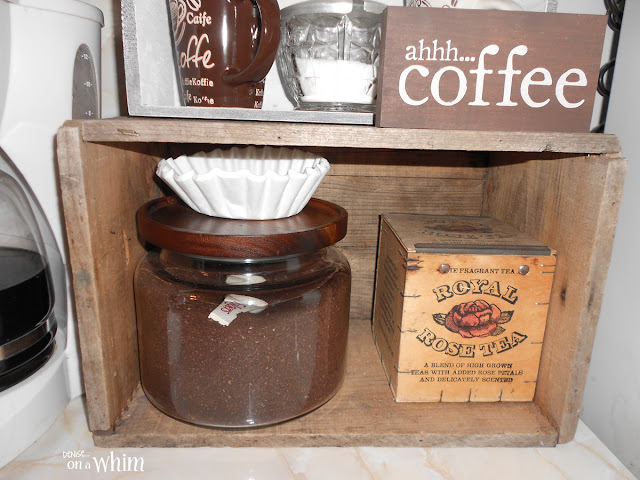 I've been using this old ammunition crate as part of my coffee station for awhile now. 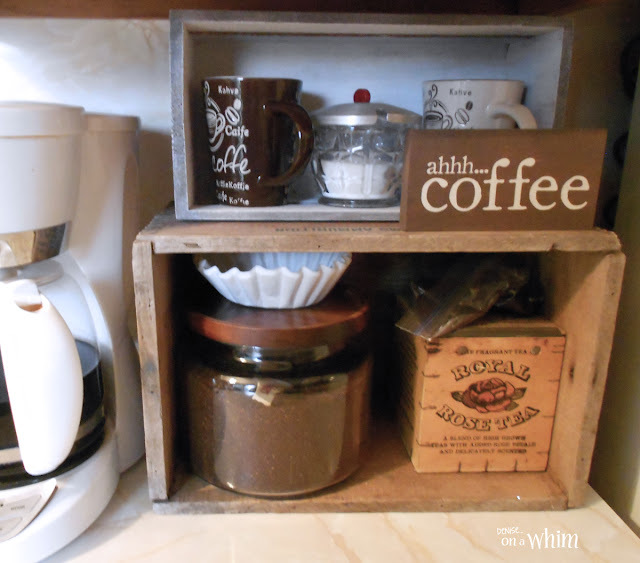 I bought a new canister with a dark wooden top from Walmart to hold my coffee and it fits perfectly into the crate. 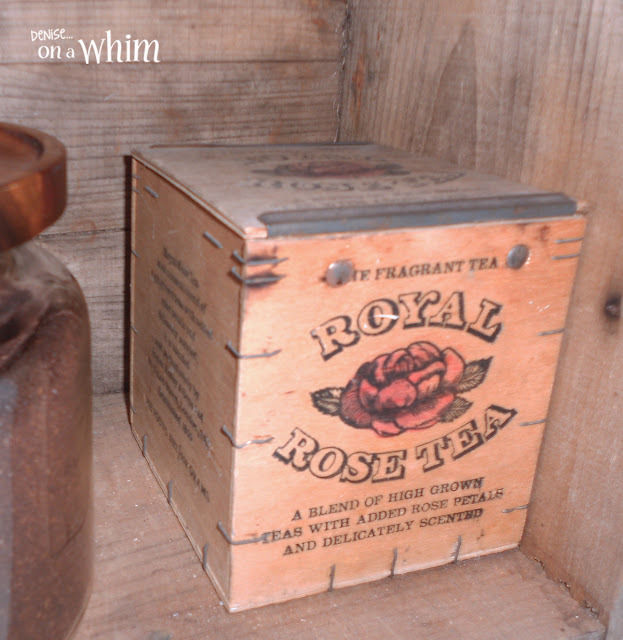 I kept my vintage tea box, because I just love it. And I actually store some tea bags in there, too! 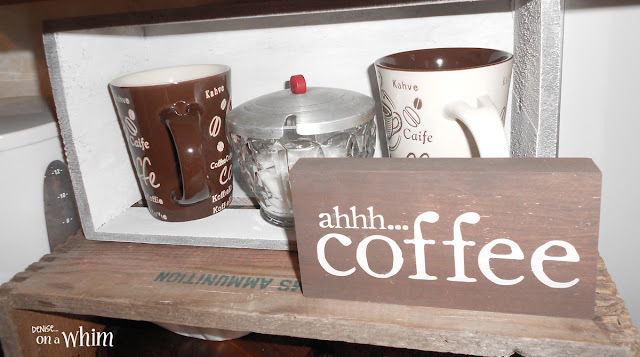 I used a scrap 2x4 to make myself a petite coffee sign. 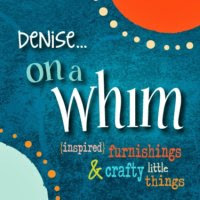 And I found a couple of mugs at the thrift store that not only look cute, but make it easy to grab a cup on one of those mornings when walking all the way across my galley kitchen to grab a mug from the cupboard seems like way too much effort! A small snack bucket hangs on the fridge and another vintage jar holds a few pieces of candy for the kids. Everything fits great into this little counter space to the left of my fridge and leaves more room open near the sink, where my coffee station was before. 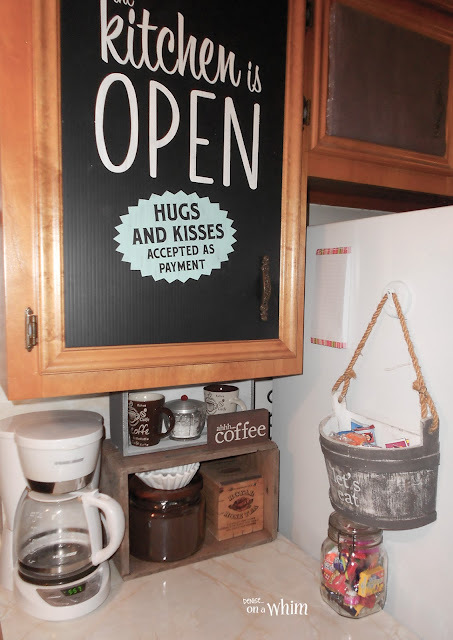 Just a few small switches and my kitchen is definitely in better working order than before!